Has it really only been 4 days since I started hand quilting? 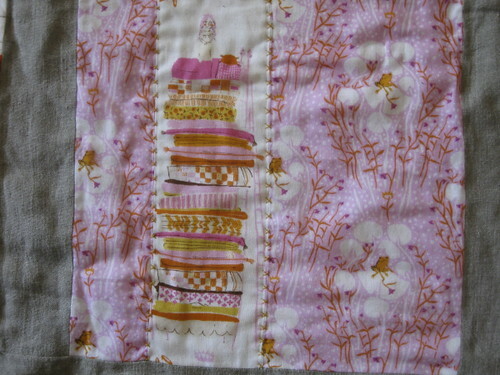 My daughter’s Fairytale Patchwork quilt has turned out to be an ideal First in hand quilting. 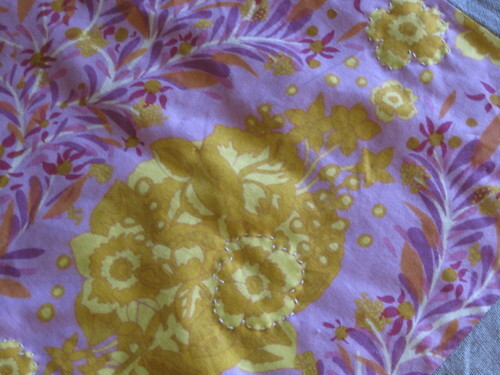 I’m using Anna Maria Horner’s tutorial, “The Stitch” and her Q & A post “Anna Answers“. Turns out that one of the hardest things about hand-quilting is getting your stitches to look as nice on the back as they do on the front. 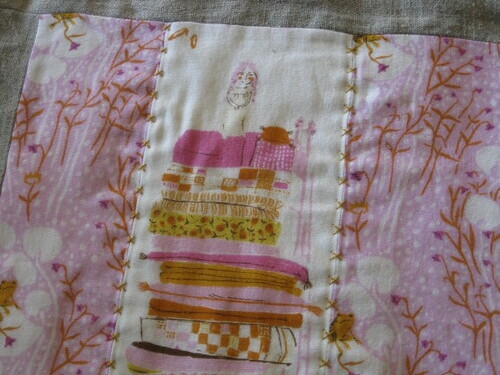 Since Aria’s quilt is designed for her bed, the back of it will only be seen when hung on the line to dry! I’m not giving myself much pressure to make the back look good. I am paying attention to those stitches, but mostly as a way of working on my technique, you know? I’ve really enjoyed trying out different quilting patterns on different blocks. Such freedom! 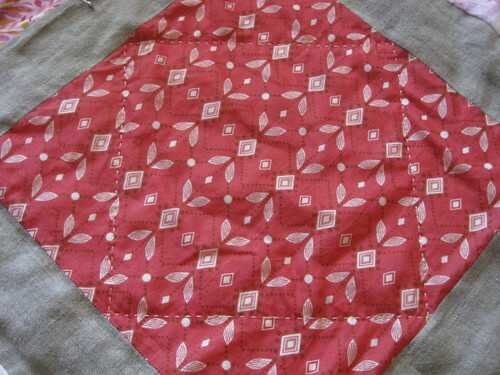 My first and possibly favorite block was this Diamond Mine block (Little Folks Voile by Anna Maria Horner). I stitched a simple white running line in a diamond shape. For this Princess & the Pea/Frog Prince block (Far Far Away by Heather Ross), I had dreamed up this criss-cross pattern along the seam lines. I didn’t realize that hand quilting this design would be so difficult and time-consuming. It looks rather wonky from the back, with the x’s bigger than they are on the front. Do you think it was worth it? I’m trying to decide if I should do another Princess block in this design. Would love to hear your ideas for alternative quilting designs on this style block! 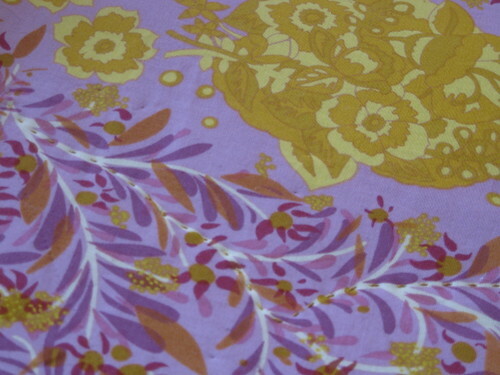 This block is Small Gathering from Anna Maria Horner’s Good Folks collection (LOVE!). I stitched some white lines around some of the yellow flowers, but it didn’t “pop” as much as I had hoped for. I’m thinking of adding some pink stitching around a few more flowers. What do you think? 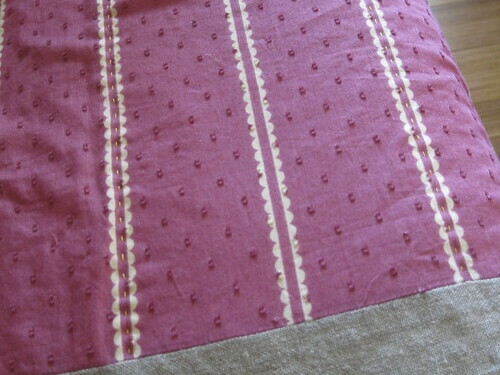 One disadvantage of this pattern for hand quilting is all the starting and stopping of threads. 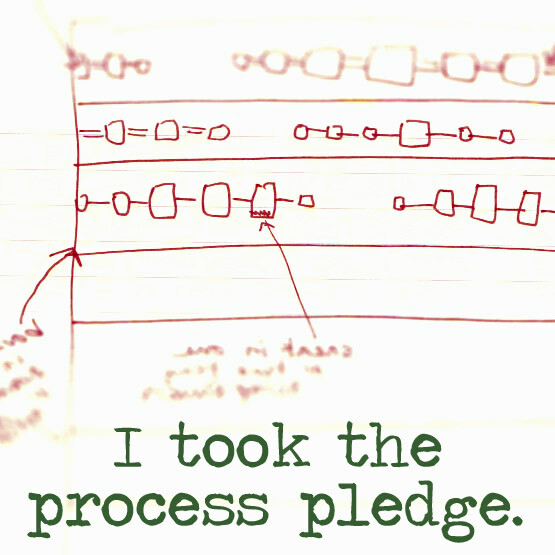 It’s stronger and faster to quilt a continuous line. So, that’s what I tried here, on a different Small Gathering block. I stitched along the stem line, which was quite fun. Do you think this is prettier than the flowers, or should I do it in addition to the flower outlines? Hmm…. Here’s my latest block. Oooh, I like how this one turned out. Sometimes the simplest ideas are the best, right? I adore Anna Maria Horner’s dobby dot line! The texture, the colors… swoon! This is the only shade I’ve had the pleasure of owning. And, sadly, they’re getting scarce. So, hand quilting = fun! I’m glad to be serenely stitching on the couch while watching Alias with Hubby, rather than wrestling with this quilt at the sewing machine (and picking out countless stitches, no doubt). 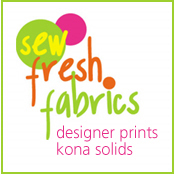 I’ve been having withdrawals from my sewing machine lately… it seems that all of my current projects are by hand. 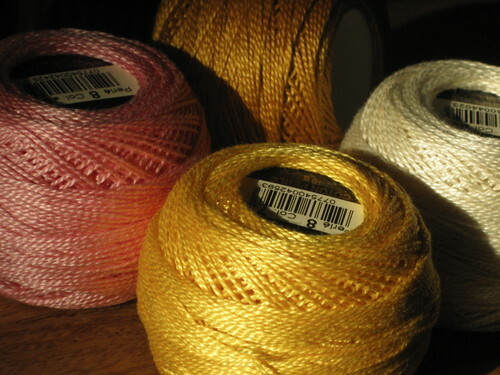 The upside is that I get to work with loads of color in thread, like these beauties in Perle Cotton, size 8. I always have a big project and a small project going at the same time. It’s nice to have options, you know? 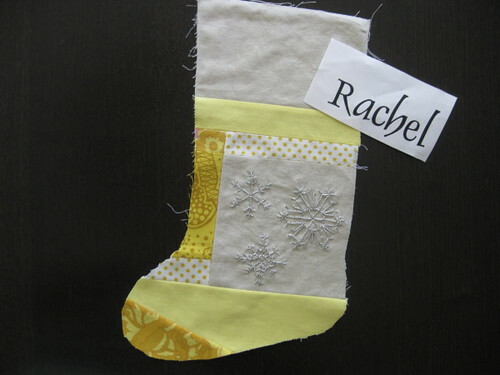 My small project is those Christmas stockings… Christmas in July! Each stocking will feature an embroidery work on linen and stripey piecing in the focus color, inspired by these stockings by Meringue Designs. The other night I stitched up my first Christmas stocking with the only embroidery patch I had done (which happens to be the one for my stocking). I so enjoyed the fast and rather haphazard piecing. Small projects are such instant gratification! So, I got this far when I realized I couldn’t finish… because I still have to embroider my name before I stitch up the seams. 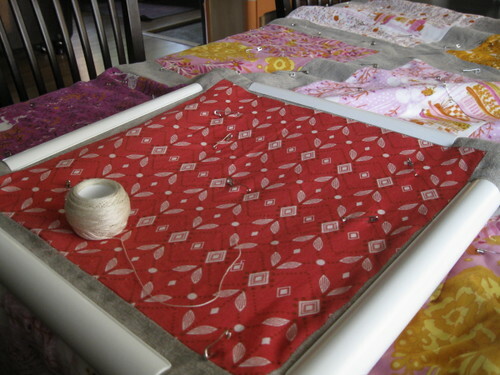 My big project (the Fairytale Patchwork quilt) is stuck in hand-quilting limbo. Since I had so much trouble machine quilting, I ripped out my messy lines and settled on decorative hand quilting. Just today I finished gathering supplies (after oh-so-much running around town!). Here we are all ready for the first stitch! Ok, less typing, more stitching.